Join in the excitement as RIT opens its newest, and perhaps most engaging, academic facility—MAGIC Spell Studios! 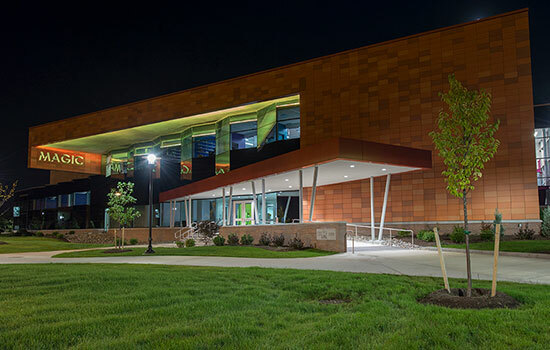 Get a look at the new 52,000-square-foot learning laboratory when the opening event is live-streamed at 11 a.m. Tuesday, Oct. 30, at https://www.ustream.tv/channel/rit-events. Follow all the action on Twitter at #RITMAGIC. Or stop by between 1 and 3 p.m. for an open house, that will include hands-on experiences, demonstrations and self-guided tours. To request access services, please contact the Department of Access Services at https://www.ntid.rit.edu/das.